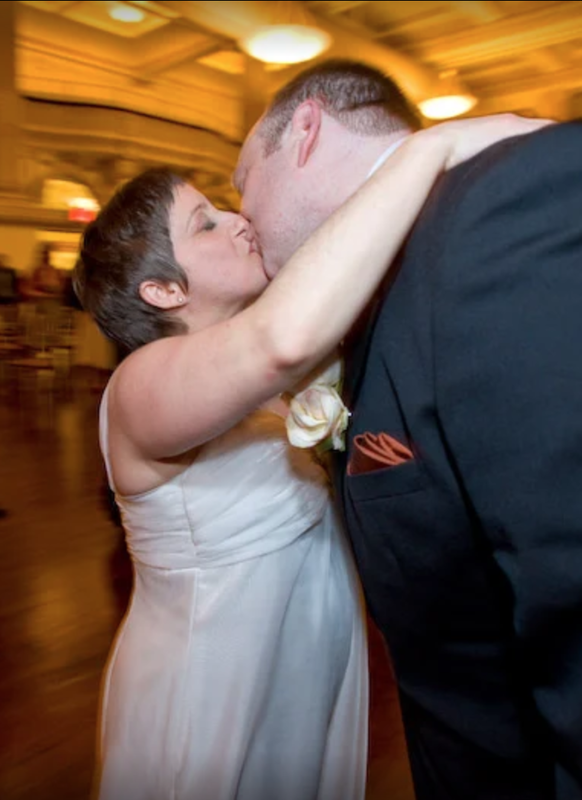 Today marks my ten year wedding anniversary. The time seems to have done two things simultaneously. It seems to have whisked by in a heartbeat (well, not quite a heartbeat, but certainly not 3652 days, give or take the odd meridians) And at the same time, it seems forever. Not in a bad sense, mind you. It's just that I have a hard time remembering what it was like not to be married. 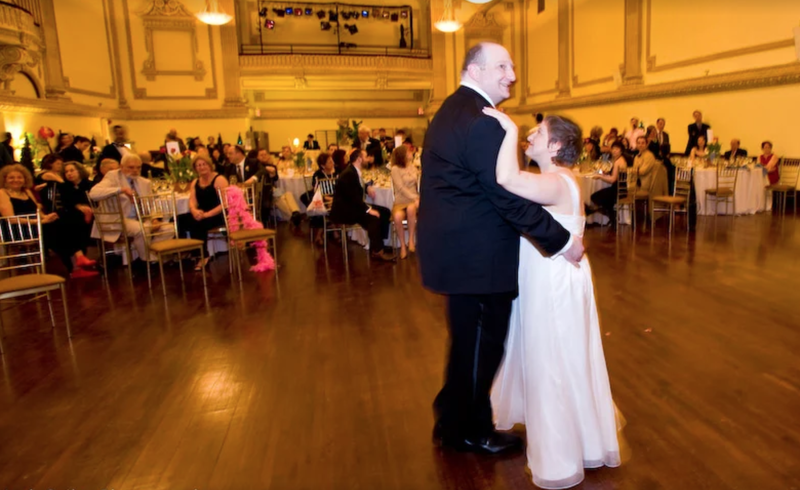 Our first dance as a married couple. Of course, it was probably our last dance as well! Oh, I remember that I wasn't married. I have lots of great memories of things I did with previous girlfriends, or friends, or with family, or solo, when I traveled on tour with one of a few circuses I traveled with, or when I toured my show internationally, or the summer I lived in Picton Ontario, or the summer I worked for the Guthrie Theater. But it's just hard to imagine now not being married. Being married to my wife seems very natural, like the natural order of things. 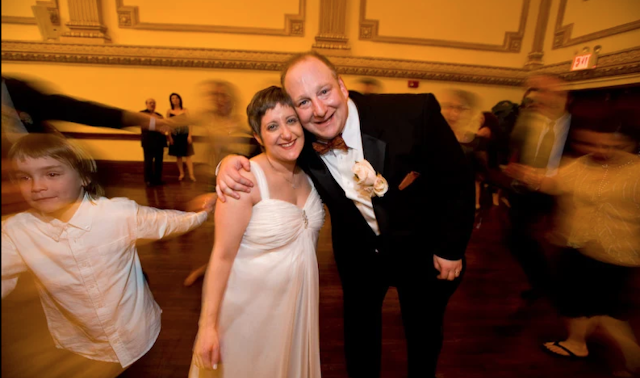 (And that's not something I thought I'd be saying 10 years ago, at that beautiful antique ballroom in Yonkers, with many of my friends and family gathered around, listening to Klezmer and watching friends stand up and do little pieces of comedy for us, as the NY Times looked on. 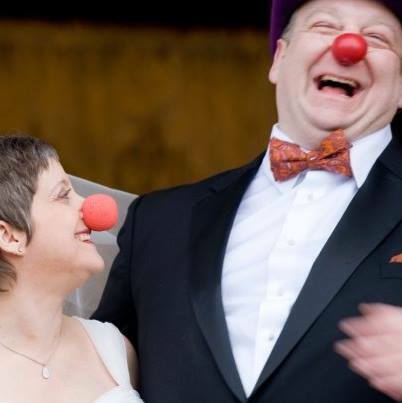 Yes, we were in the NY Times for our marriage. Twice. I'm not going to pretend that there aren't problems or that there haven't been problems or that there might not continue to be problems. Problems are part of the human condition. Those that think they don't have problems probably aren't thinking too hard about what's going on or are ignoring them hoping they will go away. I have done both in the past and will probably continue in the future. But my point is that problems are normal and to be expected. As are joys. And are sorrows. And all of the other emotions that humans have. And on balance, we've had more of the latter than the former. So our balance book is not too shabby. So far we've managed to work away through most of our problems, and it is my hope (and my life's work, I guess you could go so far as to say) to continue to do so.